Sense is a lightweight developer console. The console is handy when you want to make an extra API call to check something or perhaps tweak a setting. 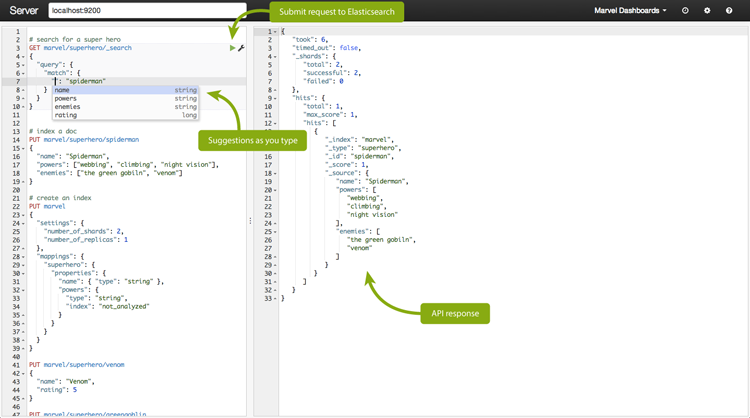 The developer console understands both JSON and the Elasticsearch API, offering suggestions and autocompletion. It is very useful for prototyping queries, researching your data or any other administrative work with the API.